Research Guides: What are they for, and what’s in them? What on Earth does "peer-reviewed" mean, anyway? It’s 2 a.m. What Can I Get from the Library? You've been given an assignment and are told to use the library. Where do you start? Two key resources as you start are MultiSearch and your Program Research Guide. Check out the videos below to see how they can help. Need help understanding what peer-review means? Did you know we have lots of resources that you can access any time of day from anywhere? Check out the video on peer review or the video on electronic resources. This video helps you to understand and use MultiSearch. Georgian College’s library offers reliable, high-quality information for your assignments. MultiSearch is a web-based tool that you can use to find and access books, videos, academic journals, and more by searching in one place. MultiSearch is found on the library website at library.georgiancollege.ca. Look for the search box in the middle of the home page. Start looking for resources by entering keywords in the search box that describe what you want to find. Let’s search the topic social media. Enter social media in the search box and click the Search button. MultiSearch may provide a very large number of search results. On the left side of the results page, you’ll find several ways to limit or narrow your search, such as filtering your results by source type. By limiting your search you will get fewer results, and what you find may be more relevant to your research. MultiSearch provides a list of resources that match the keywords you entered. Each listing, or “record,” has an icon that represents the type of resource. The icons help you to identify different types of resources quickly. Note that the icon for a book is usually an image of its cover. You can use multiple search filters to get exactly what you want. For example, checking “available articles, books, & videos” and then filtering by the source type “academic journals” will give you a focused results list of immediately available academic journal articles. When you click on a search result, other functions become available. Find the “Tools” menu on the right side. You can print, email, or save the article. This is also where you find the Cite button. You can use this to see a basic reference for the item, but remember that it’s your responsibility to verify the reference format according to your required citation style, such as APA. Look for the PDF or HTML icon and click to view the full text of an article. Research help staff are available on-site, by phone, by email, and by chat to help you use MultiSearch and other library tools efficiently. This video explains what research guides are and how they can help. Research Guides: What Are They For and What's In Them? Research Guides can be a great time-saver, and a way to start off your research with high-quality library and web resources tailored to your specific program. Research guides are online tools developed by the library to help you do research at Georgian. A list of them is located in the drop-down menu on the right side of the library home page, organized by program name. The research guide for your program can be a useful starting point for research assignments. Each guide was developed to help you find and explore reliable resources that are specific to your field. Research guides use tabs to collect and organize different types of resources. They highlight new or significant resources such as books, videos, academic journals, and research databases for your discipline. Research guides also offer organized lists of links to web resources. Finding reliable information on the web can be a challenge so the library has done some of the work for you. Each guide is different, and you may also find links to statistics, professional associations and organizations, government information, and legal information, as well as open access directories, tipsheets, and important news about your field of study. The library also maintains several special topic research guides covering areas such as statistics, law and legislation, career research, and entrepreneurship, as well as a Makerspace guide to virtual tools that you can find online or download to communicate, create, and inspire. You can find them all under the Resources tab at the top of the page. Click on the Specialty Research Guides link to find the list. Research Guides can make your research process more efficient, and they offer a quick way to find high-quality resources that have been chosen specifically for your program. This video features some key characteristics of scholarly, peer reviewed articles. What on Earth does “peer-reviewed” mean, anyway? As a Georgian College student you have access to many academic and scholarly journals. The articles published in these journals can be excellent resources for research assignments. Journals can be in a paper format or accessible in electronic databases, such as MultiSearch or Science Direct. Academic or scholarly journals focus on publishing articles in a specific field of study. These journals are typically published by universities, professional associations, and specialized educational publishers. Often the title of the publication describes its content. For example, the journal Cyberpsychology, Behavior, and Social Networking publishes articles discussing social networks, gaming, mobile device use, and related behaviours. The academic and scholarly articles published in these journals tend to focus on narrow topics. They’re written by experts who are knowledgeable in their specific field and use the technical language of that field. The references provided at the end of these articles can be an excellent source of other resources on the topic. Scholarly articles are different from other academic articles because they are peer-reviewed. Peer-reviewed means that the article has been submitted to the scholarly journal for review by its panel of experts in the field for accuracy, credibility, and reliability prior to being published. Revisions to the article may be required before it will be accepted for publication. This process ensures that scholarly, peer-reviewed articles are very reliable sources of information. Examples are original research articles, case studies, and review articles. It’s important to note that not every article published in a scholarly journal is peer reviewed. For example, it may also contain book reviews, editorials, or letters. Researching a topic can be difficult when we have to sift through a huge amount of information. It’s easy to feel overwhelmed and frustrated when you don’t know what information to trust. A key skill in research is efficiently separating the trustworthy information from the biased or misleading information. One way to do this is to use articles from peer reviewed journals. To understand why this matters, we have to look at how trustworthy information makes it to the public. Think about it like this… On one side we have researchers working hard to understand or develop something new, like a drug. On the other side is the public who could benefit from new findings and discoveries. The researchers want their findings to be shared with the public and have a positive impact. To accomplish this, their work must be deemed trustworthy and credible. The problem is that some research is done poorly and could mislead or harm people. So, we need a way to ensure that the most credible research reaches the public. This job is often accomplished by professional or peer reviewed journals that serve as gatekeepers for new research. These journals review and analyze the new information and will only publish findings they find trustworthy and up to their standards. Dimitri and Denise have conducted a study on soil quality that they believe will help farmers. With the study complete, they write an article explaining the study’s goals, methods, findings and recommendations, and submit the paper to the Journal of Soil Quality. The journal then assembles a panel of experts or “peers” who specializes in soil to read the article, without knowing who wrote it, and investigates the team’s information. It’s this panel of experts who decides if Dimitri and Denise’s article meets or exceeds the standards for publishing in the journal. The peer reviewers may accept the paper and recommend it for publishing, request changes before accepting it, or reject the paper completely. It’s this peer review process that helps ensure only credible information is published in the journal. Dimitri and Denise’s article was accepted by the panel with minor revisions and published for future reference. Unlike blog posts, books or even newspaper articles, peer reviewed journals use a rigorous process designed to make trustworthiness and credibility the highest priority. When doing research, keep peer reviewed journals and articles in mind because they’ve done the hard work to establish what research can be trusted and their work can save you valuable time. This video introduces the library's electronic resources. Are you taking an online course? Are you completing your co-op semester at a distance from Georgian? Is it 2:00 in the morning and you need to work on an assignment or presentation? 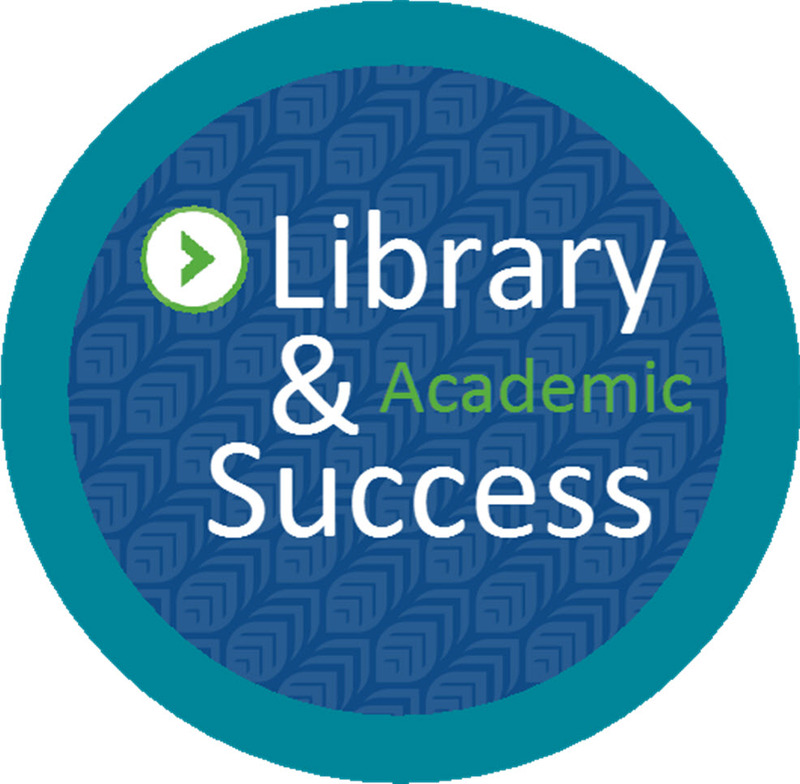 Is your campus library closed but you need resources? If you answered yes to any of these questions, Google is not your only option. Georgian’s library can help you. You can access thousands of electronic resources right from your computer. In fact, most of our resources are offered in electronic format. Resources in electronic formats are no different from a physical item that you can hold in your hands. All of the content that we purchase will support your program regardless of its format. Many of your research assignments ask you to use articles. It’s easy to use the library’s electronic databases to select academic, scholarly, and peer-reviewed content, and most of it is directly available in PDF or HTML format for download. Newspaper and magazine articles are also available in databases. An electronic book (or eBook) has the same content as a physical book. You may even be able to copy or download parts of it. EBooks are found in electronic databases and through the library catalogue, and a large part of the library’s eBook collection can be found in MultiSearch. Specialized content can also be found in certain subject-specific databases. The library also offers streaming video that relates to your program. It can often be included in a presentation or used as a source for research. You can find videos through MultiSearch and also through specific databases such as Films on Demand, National Film Board, and Intelecom (show a-z list). You can recognize a streamed video in your results by the video recording icon and the online access link. Library staff are available to help you find and use electronic resources. We can be reached on-site, by phone, by email, and by online chat.